Colombo backpackers Venice is both a budget hotel and a cheap hostel, since it offers two buildings: one provides private rooms and hotel facilities and it's perfect for all those guests who appreciate more privacy and relax; the other one has many shared rooms and it's perfect for backpackers and young people searching for fun in a budget accommodation! Colombo Backpackers is your perfect hotel in Venice: recently opened and renewed (may 2011), comfortable location near the railwaystation of Venice Mestre, great list of available facilities, helpful staff and the cheapest prices! For the first time Hostel Colombo for backpackers allows you to book a lowcost stay in Venice! Each room of the Colombo Hotel is extremely new and clean, so you could simply relax and enjoy your stay in Venice: every room has the air conditioning system and the private bathroom. 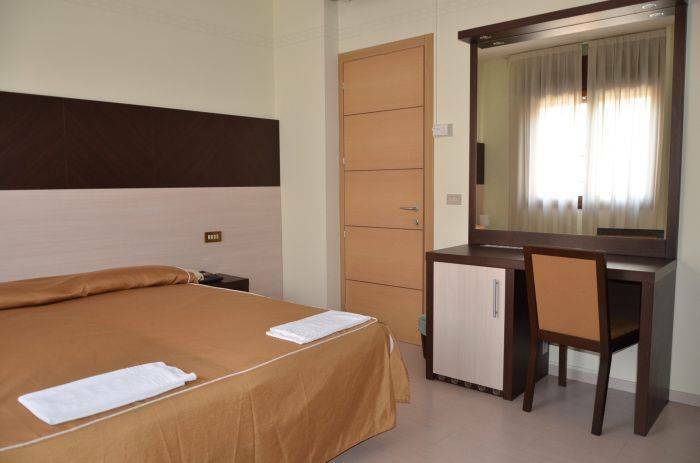 The best comfort for the lowest prices among the hotels in Venice. Book now! Hostel Colombo staff is looking forward to see you! Being so close to the station you will always have plenty of public transports to easily reach Venice in less than 15 minutes. Also during the night there are both frequent trains and bus to go from the Hotel Colombo to Venice Historic Center. It's really easy to reach the Hotel and Hostel Colombo for backpackers since it's just a stone throw from the railway station of Venice Mestre (exit following marghera direction): once outside the train station just walk straight on the street and you will see the Hotel Colombo in front of you! If you arrive from the Marco Polo Venice Airport please take the bus number 15 and get off at Marghera stop, just in front of the Hotel Colombo!